On 9 June 2018, we lost a dear friend and colleague and one of European Sociology’s most profound and politically involved thinkers. 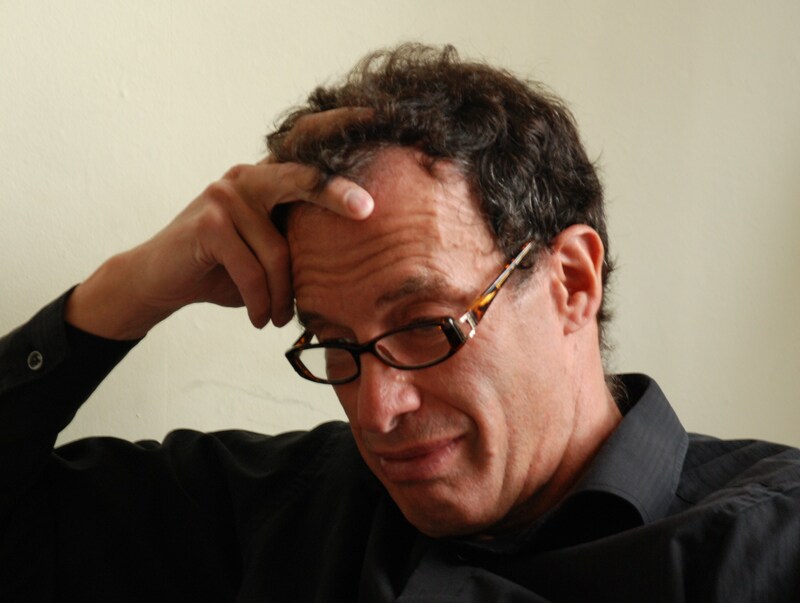 Robert Fine’s work is of astonishing breadth, reaching from the fundamental engagement with key theorists of modernity to the analysis of specific societies at specific historical moments – such as his work on South Africa – to pointed political interventions into ongoing public debates, most recently his struggle against antisemitism. In the course of the last decade, Robert’s involvement with the ESA Research Network 31 on Ethnic Relations, Racism and Antisemitism became a very important part of his political and intellectual work, and for a significant and sustained period of his life. This ‘One Thing’ was the patient labour of seeking to understand the forces that shape the modern world, and the causes of violence and injustice in its many guises. More recently, the dominant form this One Thing has taken for Robert was his engagement with antisemitism, conceived of, we think, as a thread which connected many of those apparently diverse attempts to come to terms with the perplexities and contradictions of social and political thinking. Robert’s engagement with the work of Hannah Arendt was an engagement both with the ‘critique’ of existing conditions but always also with the ‘critique of the critique’. He was continually drawn back to her awful observation that the only twentieth century revolutionaries who succeeded in creating a classless society were the Nazis and the Stalinists. The existence of Auschwitz and the Gulag was a profound fact, an experience from which we could never simply go back to normal. Ideas and movements for radical change would always have to take account of the dangers of ideas and movements for radical change. They would have to anchor themselves into the world, into what exists, to guard against the possibility of floating free into the realms of totalitarian thinking. Robert’s cosmopolitanism was a material and worldly cosmopolitanism. One of Robert’s key intuitions was that antisemitism was a visible indicator of the kind of forgetting which he feared. He was the strongest advocate for anchoring the study of antisemitism in the ESA, in the world of sociology, and in the idea of Europe. Robert wanted to create an intellectual space where the study of, and the struggles against, racism and antisemitism could mutually inform and strengthen each other, rather than being pursued in separate and sometimes hostile political and scholarly universes. He wanted to distinguish them, but not separate them, for scientific reasons. These efforts frequently met with resistance in an academic milieu reluctant to recognise antisemitism as no longer just an issue of the past, but as an important and growing social problem. Robert’s pioneering work and his tireless efforts played a key part in establishing the study of antisemitism as a legitimate and important sociological field. Robert Fine’s work is serious and scholarly but also accessible. He wrote to engage people with important things, things that matter. His book Antisemitism and the Left: On the Return of the Jewish Question (2017), written with Philip Spencer, shows how what is constructed as “The Jewish Question” is always actually an antisemitism question; not “what do Jews do to make people hate them?” but “why are so many tempted to package all that is bad in with the Jews?” It is a defence of the Marxist and critical tradition against the “socialism of fools”. It is a fierce critique both of the idea that the left is essentially antisemitic and also of the denial of a tradition of authentically left wing antisemitism. It excavates the left critique of antisemitism not out of merely academic interest but in order to understand it, to mobilise it and to keep it alive. Robert’s book Cosmopolitanism (2007) distils much of his view of the world into one paperback. He goes beyond labels to look at the complexity of things: how nationalism is a coming together against oppression but then a re-formulation of arbitrary exclusions; how internationalism began as universal equality but was vulnerable to perversion into Soviet nationalism, the mobilisation of the rhetoric of the “universal class” into the interests not of humanity as a whole but of Stalinist totalitarianism. Robert’s book on Hegel, Marx and Arendt, Political Investigations (2001), creates a framework for thinking about the critique of contemporary society which always keeps hold of the “critique of the critique”; how to think about making the world better while learning the lessons of how such projects have ended up making it much worse. Marx claimed to be turning Hegel on his feet; Fine argues that Marx was more a follower of Hegel than he himself knew; that Marx’s Capital should be read with Hegel’s Philosophy of Right, not as a correction to it. Before apartheid in South Africa was defeated, Robert wrote, with Dennis Davis, Beyond Apartheid: Labour and Liberation in South Africa (1990), a critique of apartheid, a sociology of the anti-apartheid movement and also a critique of some of the more nationalist politics of the ANC. It was a specifically socialist take on the liberation movement, some of whose warnings are turning out to have been prescient. And before that he wrote a classic, from which students are still taught Marx, Democracy and the rule of law (1984). It is a critique of liberal theories and practices of law and of capitalist exploitation; but the critique is meticulous in maintaining consistent opposition to a contempt for liberty. Democracy is not a bourgeois fiction to be treated as an obstacle to liberation but a first draft of human liberty, to be improved. Robert would have loved people who did not know his work to still start reading it now. He would have loved it more if his work remained influential in practical politics; both in the struggle against the existing structures of material injustice but simultaneously in vigilance against those who are prepared to tear everything down, as if there is nothing in the contemporary world worth anything, and as though liberty can be built from air, later, simply by an effort of the will. This last insight drove his despair about Brexit and about the self-infantilising anger of populism more generally. His commitment to European sociology, to the ESA, was rooted in a commitment to the possibility of a cosmopolitan, self-critical Europe. Robert was a friend, mentor and a great inspiration for us in many ways. He was certainly a very present and engaging person who will be deeply missed. We will try hard to make his spirit live on in our network. Robert Fine on doing the sociology of antisemitism (2012) in the The European Sociologist, issue 33, p. 4ff.